At Teach for China 2018 Beijing Benefit GALA, Tulku Jamyang’s silkscreen print ‘Last Supper’ (2018) contribute to the success of the event. The print was donated by W.Ming and Tulku Jamyang. 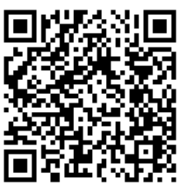 Teach for China is a charity focues on providing education to children living in rural regions of China. 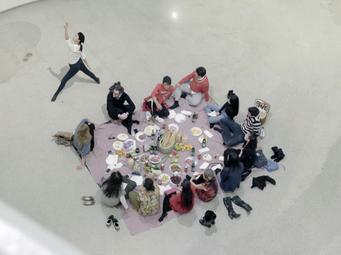 On January 4, 2018, Solomon R. Guggenheim Museum in New York hosted a picnic performance by Chinese artist Zhao Bandi to celebrate the conclusion of Art and China after 1989: Theater of the World scheduled to be closed on January 7, 2018. W.Ming Art is pleased to produce the performance in New York in collaboration with the artist studio. We bring you the detailed coverage on Zhao Bandi and his picnic performance in Phoenix Art wechat article “Will Zhao Bandi restart his artistic career from the Guggenheim Museum?” published on January 8, 2018 in Chinese (For a reading in English, please contact info@wmingart.com). 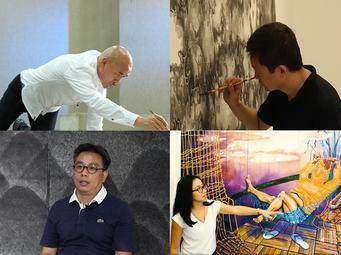 W.Ming Art is pleased to present four documentaries on four artists in the fall of 2017. 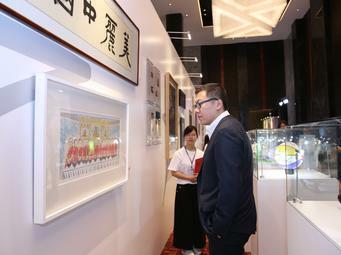 W.Ming commissioned and produced interviews on Yang Jiechang, Tai Xiangzhou and Tang Nannan for the 2017 BRICS Summit in Xiamen, Fujian Province, China. W.Ming Art also commissioned and produced a short documentary on Taiwan born, New York based artist Eleen Lin, whose works were featured at Art Taipei this October, 2017 in Taiwan. 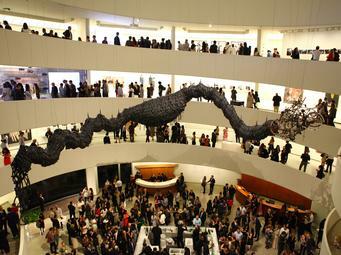 Phoenix Art and W.Ming Art bring to you the first hand report (in Chinese) on Art and China after 1989: Theater of the World, the largest exhibition up to date on Chinese contemporary art in the US. Consisting of six sections, this exhibition features 150 significant works from 71 artists. 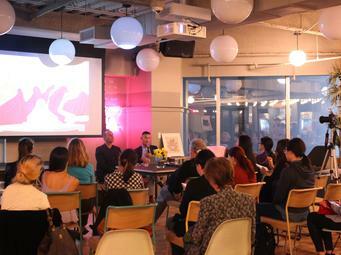 W. Ming Art interviewed the exhibition's three curators: Alexandre Munroe, Philip Tinari and Hou Hanru for more insights. 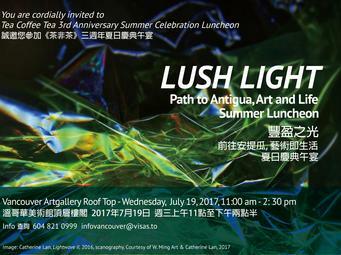 Commissioned by TeaCoffeeTea, for the summer celebration luncheon of TCT's third anniversary, W. Ming brought together artist Catherine Lan, Beau Rhee, filmmaker Lillian Luan and musician Sugar Vendil, to present a multi-media installation & performance inspired by the lush light of Antigua. W.Ming hosted Mind Nature: The Art of Tulku Jamyang, a private gathering and discussion for artist and reincarnated lama Tulku Jamyang, from Kathmandu, Nepal, to discuss art and spirituality from a personal perspective. 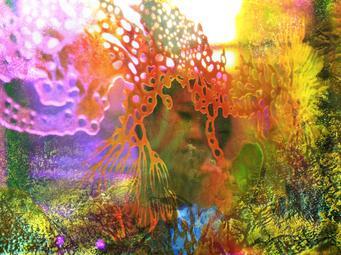 The talk is moderated by Lowell Boyers, an artist and strength & healing practitioner based in New York. 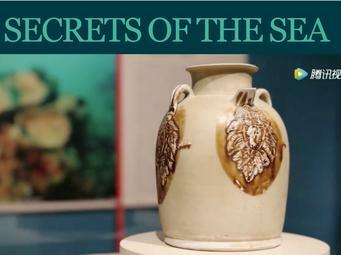 W. Ming Art invited Adriana Proser, John H. Foster Curator of Traditional Asian Art, to present recent exhibition Secret of the Sea: A Tang shipwreck and Early Trade in Asia at Asia Society (New York). 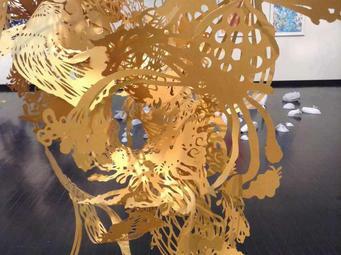 Fred Hanchang Liang's exhibit "A Bubble in a Stream" will be on display in the North Dakota Museum of Art from now through Dec. 13. 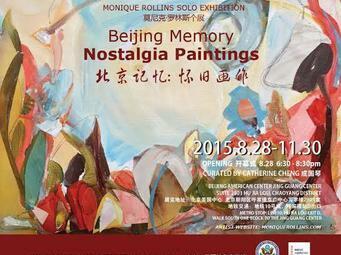 Beijing American Center is presenting a panel discussion on Contemporary American Art, coinciding with the opening of W. Ming Art's artist Monique Rollins' solo exhibition "Beijing Memory, Nostalgia Paintings". W.Ming’s artist Catherine Lan has joined the Taiwanese American Arts Council arts program The Moment to bring her newest collaborative cross-disciplinary project Mists of Lights and Shades to the final event of Queens Museum’s Passport Thursday’s International Music, Dance, and Film Festival on August 20. The project will be followed by the presentations at Queens Botanical Garden on August 22 and 23, 2015.